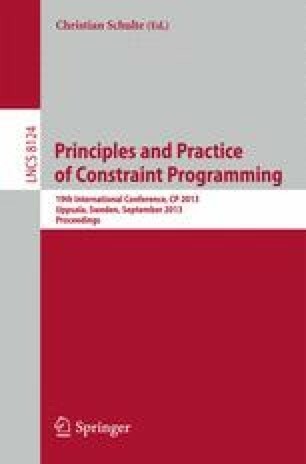 Gutierrez and Meseguer show how to enforce consistency in BnB-ADOPT + for distributed constraint optimization, but they consider unconditional deletions only. However, during search, more values can be pruned conditionally according to variable instantiations that define subproblems. Enforcing consistency in these subproblems can cause further search space reduction. We introduce efficient methods to maintain soft arc consistencies in every subproblem during search, a non trivial task due to asynchronicity and induced overheads. Experimental results show substantial benefits on three different benchmarks. We are grateful to the anonymous referees for their constructive comments. The work of Lei and Lee was generously supported by grants CUHK413808, CUHK413710 and CUHK413713 from the Research Grants Council of Hong Kong SAR. The work of Gutierrez and Meseguer was partially supported by the Spanish project TIN2009-13591-C02-02 and Generalitat de Catalunya 2009-SGR-1434. The work of Gutierrez, Lee and Meseguer was also jointly supported by the CSIC/RGC Joint Research Scheme grants S-HK003/12 and 2011HK0017. The work of Mak was performed while he was at CUHK.